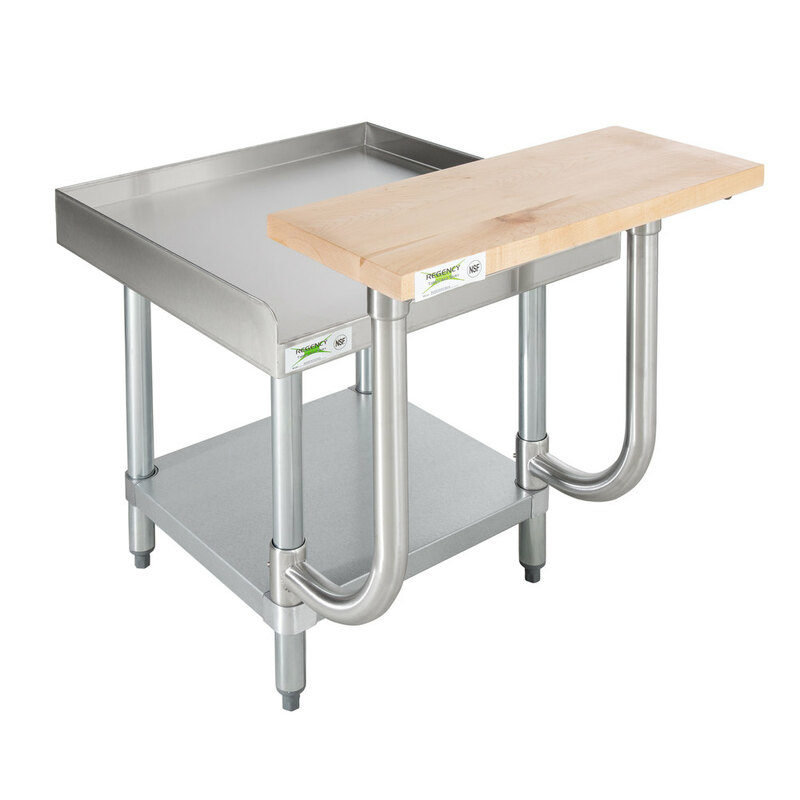 This Regency wooden adjustable cutting board is the perfect addition to any equipment stand. 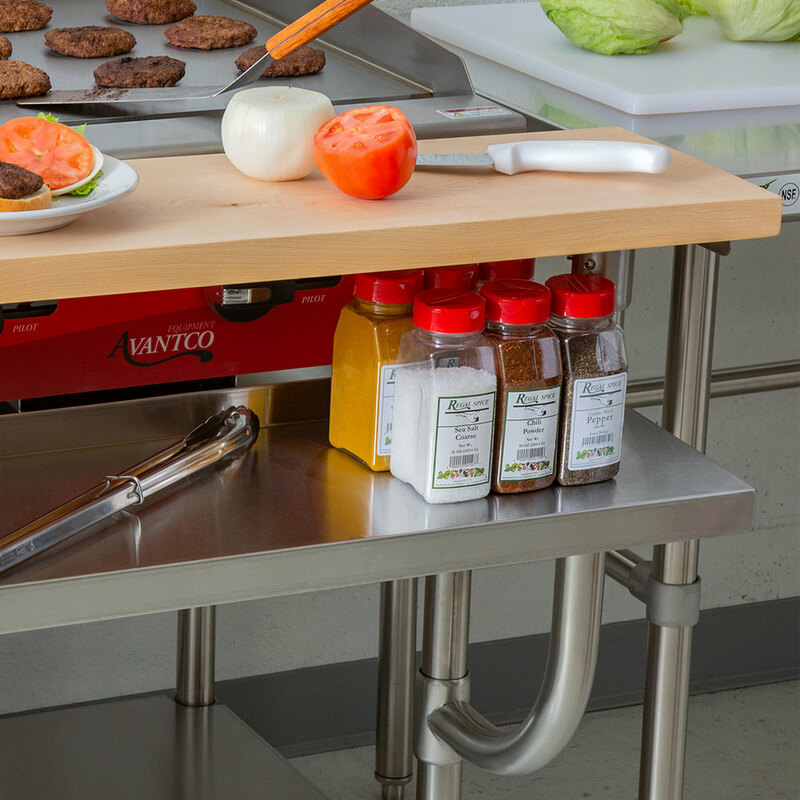 Not only does it provide a convenient surface for placing ingredients or assembling sides, but it's perfect for chopping, slicing, dicing, and even carving. 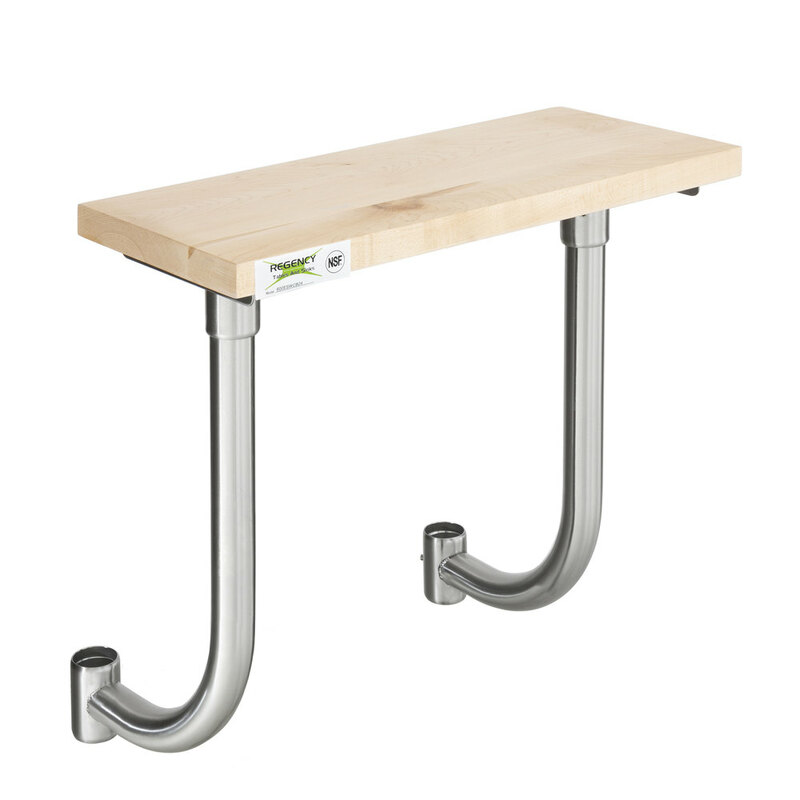 It adds versatility to your equipment stand to maximize space. Plus, because it's made of 1 1/4" thick hardwood, it's sturdy and long-lasting and won't dull knives. 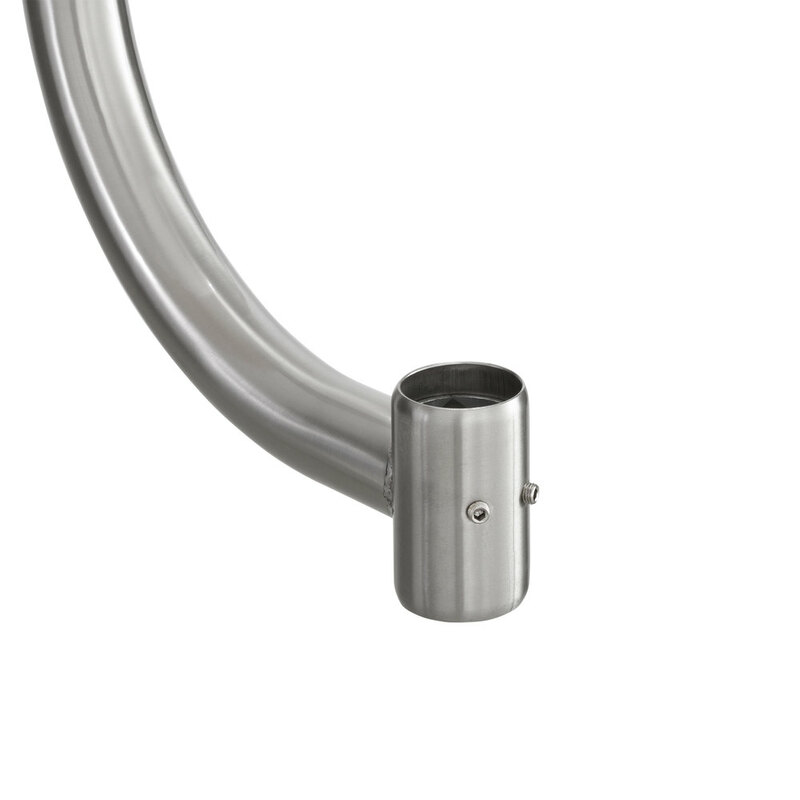 Two stainless steel, curved legs attach the board to your 24" long equipment stand, and two stainless steel welded sockets hold it in place. 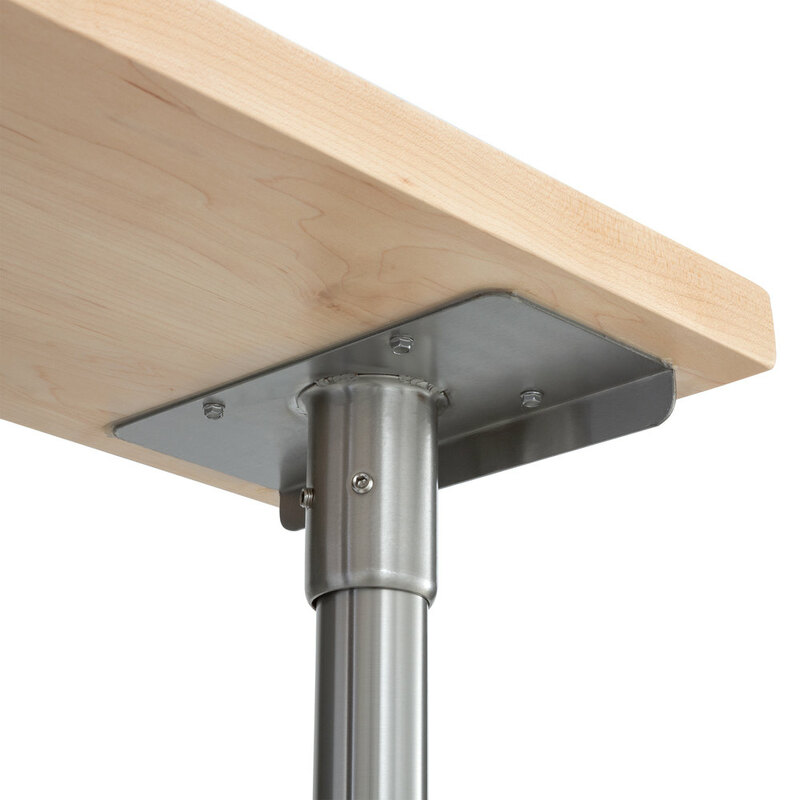 This method of installation allows the cutting board to easily adjust in height; just raise or lower where the sockets screw onto the equipment stand. Hardware sold separately.